I spent my Valentine’s Day waking up in a bed that clearly wasn’t mine. Don’t get your hopes up! 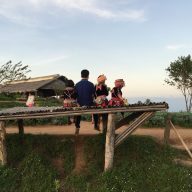 I woke up in a small bungalow, in Chiang Dao, 2 hours drive from Chiang Mai, and next to me, sound asleep was… my sister. I didn’t spend my Valentine’s Day in a romantic set up, with breakfast in bed, next to a handsome man. 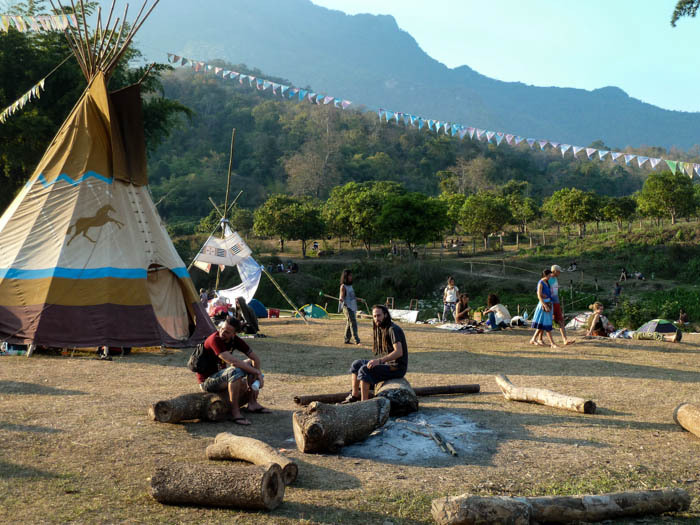 Instead, I went with my friends to Chiang Dao to enjoy a little bit of nature and some good music at Shambala in Your Heart Festival. I was so excited for this trip, like a kid on Christmas Day. I really couldn’t wait to get out of the city. 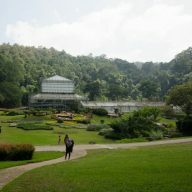 It had been almost a year since I actually left Chiang Mai. A whole year! No wonder I treated this trip as a sort of mini-holiday. 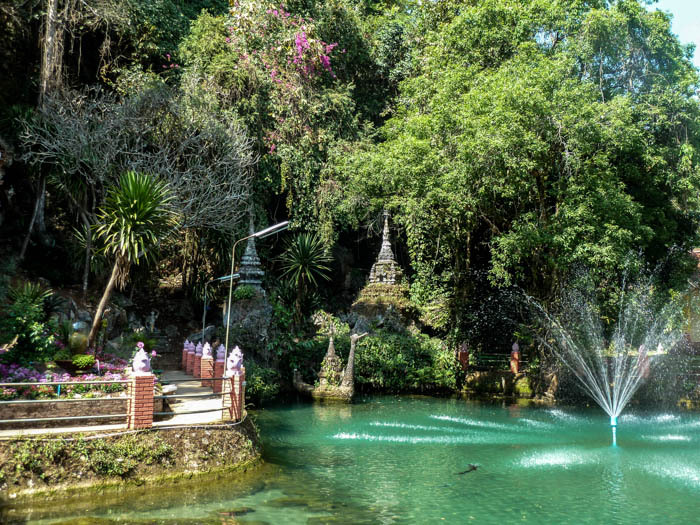 Chiang Dao is a small town, surrounded by mountains, where the River Ping, that flows through Chiang Mai, has it source. I had been there before and I really loved it. 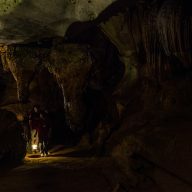 The town itself is not very interesting and it is mostly famous for the Chiang Dao Cave, but the surroundings, the temple, and the road that leads to the Cave are really worth exploring. It is quite, chilled and very laid back. 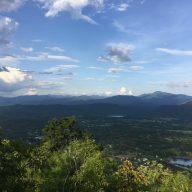 During the high season it is not overflowed with tourists, like Pai or Chiang Mai, and during the rest of the year it is almost deserted. 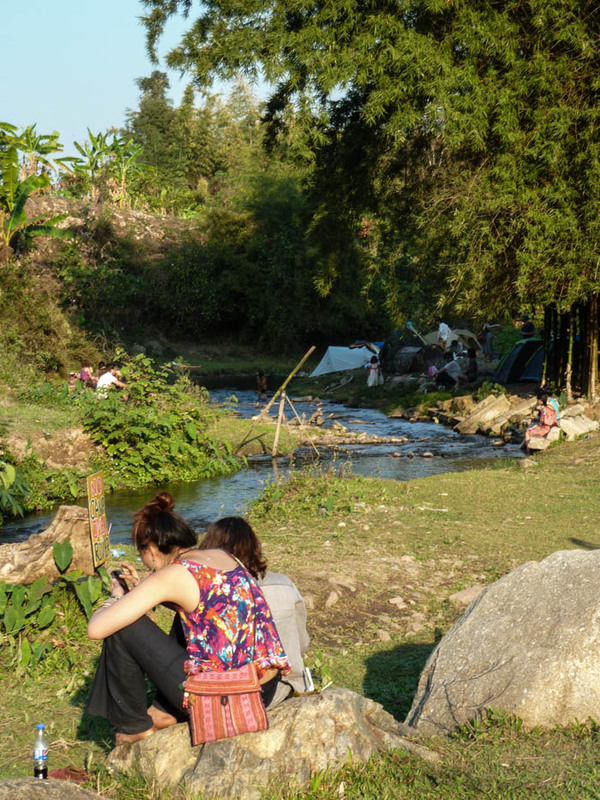 However, more and more guest houses are popping up and it is said that Chiang Dao will soon be the second Pai. So, it is better to visit the town before it turns into a tourist circus. 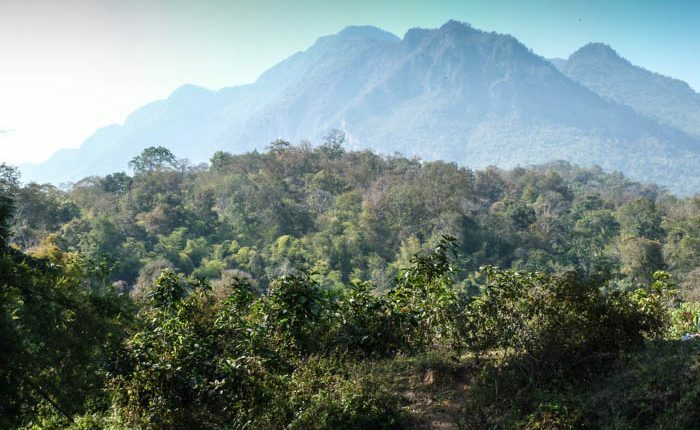 There are buses that go to Chiang Dao from Chiang Mai on a regular basis, but it is also close enough to drive. That was what we decided to do. Having your own mode of transport gives you unlimited flexibility, especially if you are heading for a music festival, hidden in a valley, far away from the nearest 7-11. Our tiny convoy of 3 motorbikes left shortly after 5 pm. 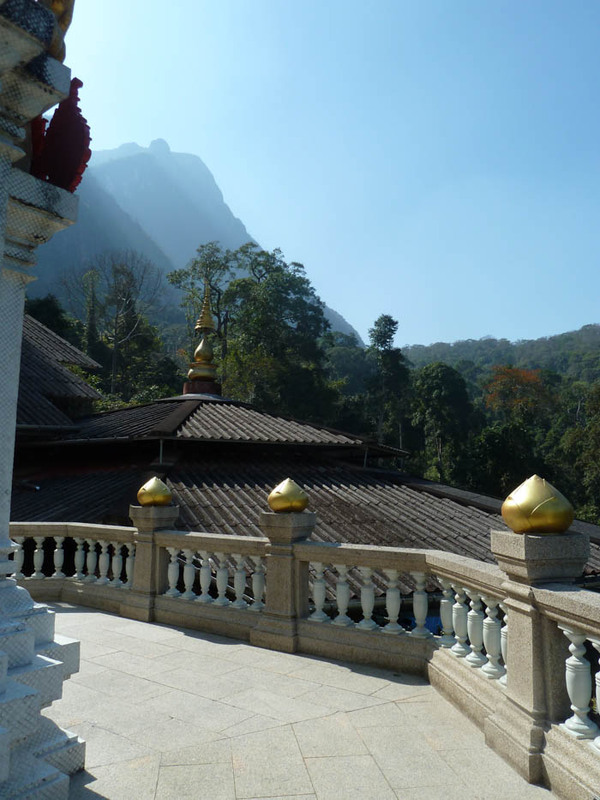 We were about to get to Chiang Dao around 7 pm, we didn’t want to look for a place to stay when it was already dark, so we had booked bungalows in advance at Chan and Cee’s – a place I had been to before, and I really liked it. It was out of the main road, quiet, clean, cheap – everything what a young (if I can still call myself that) traveller wants. With my sister at the back, I drove my beloved scooter through the busy roads, and some small towns, with night markets preparing for their nightly business. The sun started setting and it painted beautiful red and orange colours. The road to Chiang Dao is not very picturesque. It is just busy highway with some buildings at the side, but when you drive a motorbike, looking around, seeing palm trees everywhere, street vendors, whole families driving on one moped, you feel absolutely amazed by the sights and smells, even though you have lived in the country for long enough to get used to certain things. I found myself singing quietly to myself ‘Country Road, take me home’. I was overwhelmed by the sense of freedom. It started to get darker and darker, and at the same time, colder and colder. When finally the night set in there were so many flies and mosquitoes flying around that I felt like my whole face was covered in them. ‘Don’t smile!’ shouted my sister to my ear ‘you will have them on your teeth, too’. She was right. I opened my mouth to say something back to her and swallowed at least two of the insects. One got into my ear and I could hear it buzzing there. There was no place to stop, and I couldn’t let go of the handlebars as we were going through a very curvy road, so I took on a very Zen approach and let that little bugger fly around my ear for another hour or so. It was around then that I stopped enjoying the road, and was pretty nervous about the darkness, the cars speeding past me, and the very steep roads. 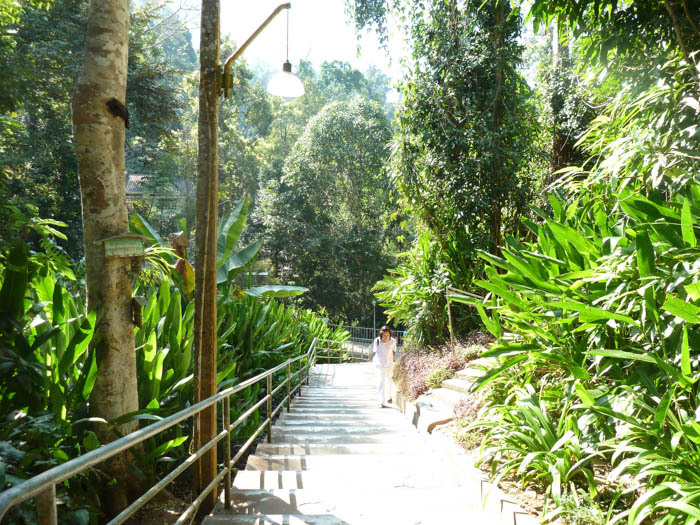 I was relieved when we finally got to Chiang Dao, and found our bungalows. I was really looking forward to having a hot shower, eating and laying down for a minute or two. But that didn’t happen… Oh no! It was Friday the 13th! It turned out that the very nice gentleman I had booked the place with at Cees and Chan’s confused my booking with someone else’s and he did not have a place to stay for us. I was a bit angry to say the least. The owner was very apologetic, but I was having none of it. He finally agreed to show us the way to a different place, where we stayed for only 300 Baht per bungalow. That was the place I woke up on the Valentine’s Day morning. 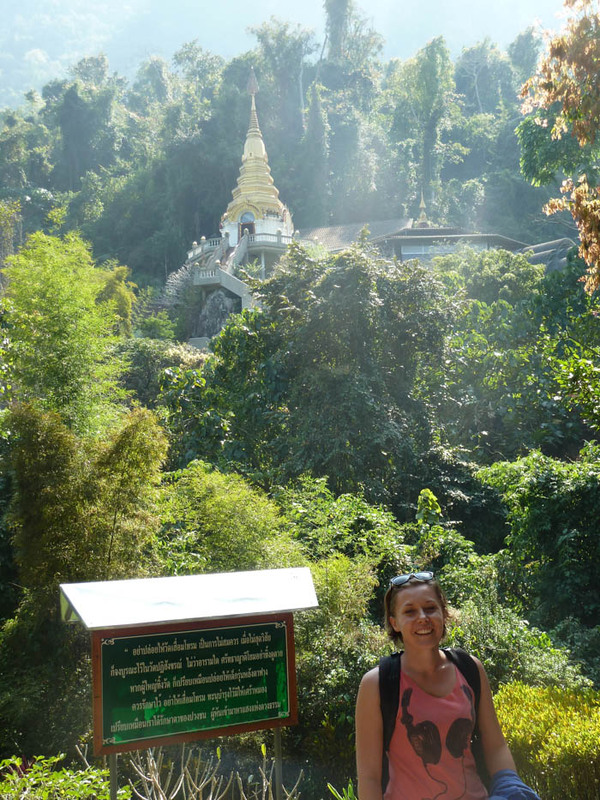 We started the day with a very late breakfast (it was lunch actually) around the Chiang Dao Cave. The Cave has a lot of bars and small restaurants around and the food is very good almost at every place. We opted for some fried rice, papaya salad and cold drinks – a very Thai breakfast. 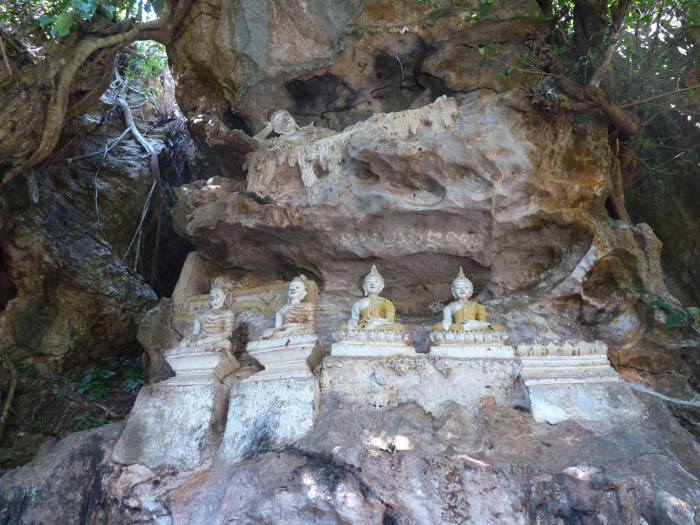 Then we walked around the cave, admiring the old and abandoned chedis and Buddha statues. 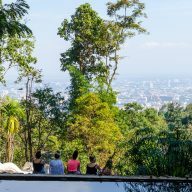 As I had been to the Cave before, I chose to go for a coffee, and then climb the Wat Tham Phla Pong again, which I absolutely loved during my first visit. 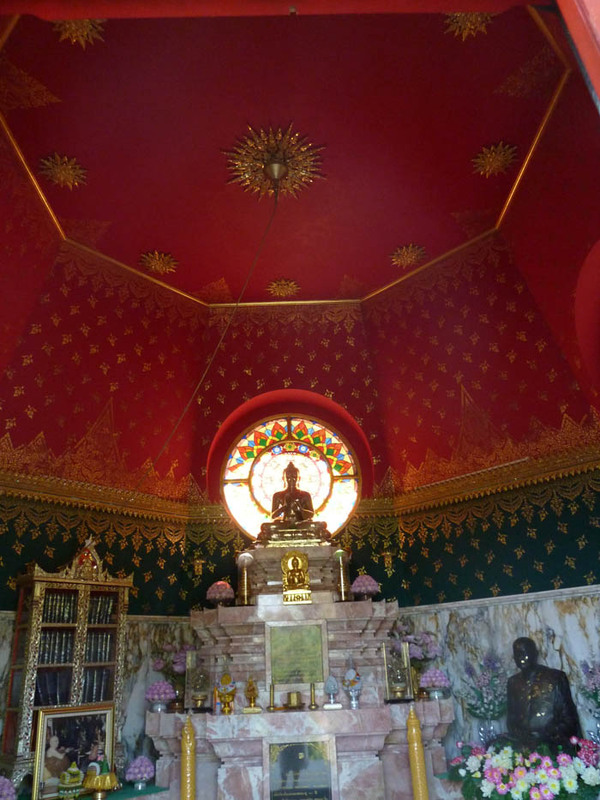 There are a couple of little shrines in the temple. This one is located at the highest point of the building. The day was scorching hot. 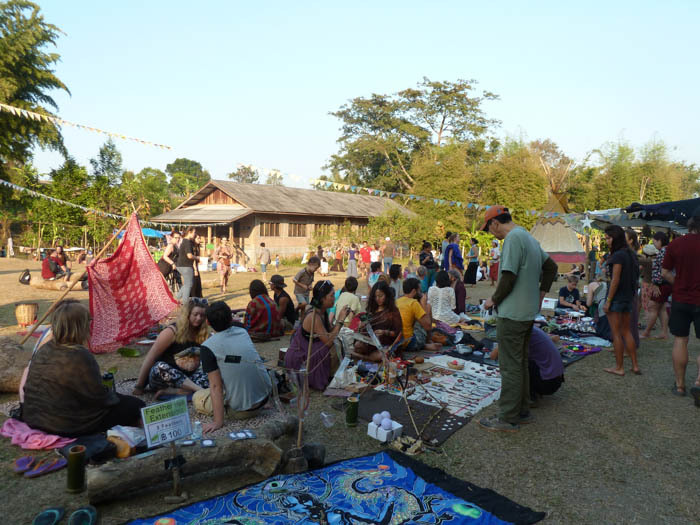 The climb up and down the 500 steps really made us thirsty, so we decided to finally go to the Shambala festival. This was actually the main reason why we went to Chiang Dao in the first place. 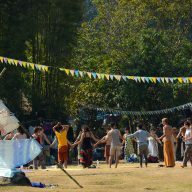 Shambala is a very small, hippie festival, organised every year at the beginning of February. It is located a little bit outside of town, in a little valley, with a stream and surrounded by mountains. It lasts for 10 days, but you can come any time and stay as long as you want. The price to get in is 200 Baht for one day and one night, or a 1,000 Baht for 5 days. 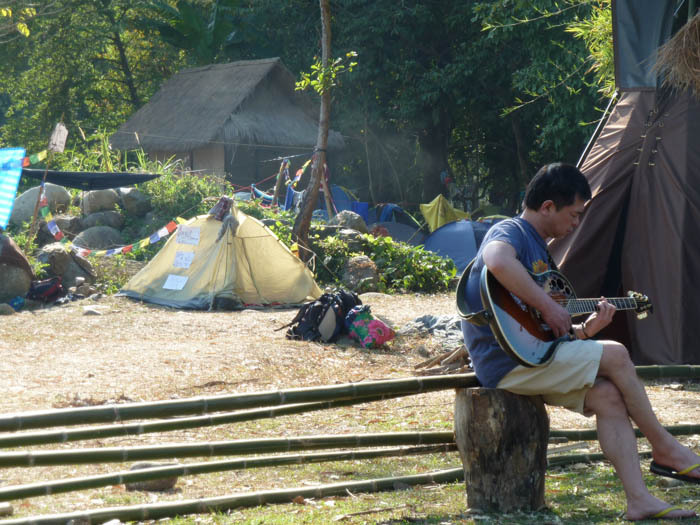 You can either camp there, or use one of the tipis, which are provided for free, or sleep in a dormitory (also free of charge). Bear in mind that it is freezing cold during the night and coming here wearing only your summer clothes will get you a pneumonia, or at least a bad cold. We got to the festival sill in time to enjoy the sunset and some warm temperatures. We sat near the stream, enjoying the music played by a random gathering of people, we talked and tried to soak up as much of the wonderful atmosphere as we could. There were obviously more tents than last year, but still not too many, so the festival still seemed like it was alternative and non-commercial. People in dread locks, wearing linen trousers and long dresses were everywhere. Quite a lot of them were selling hand made goods, vegetarian food, or practising yoga. There was some music played in the distance. The sun was setting slowly and it was starting to get cold. We were sitting on the ground, drinking beer and wine. I was waiting until the very last minute to change my clothes into something warmer, until I finally couldn’t stand it any more. At least this time I had a jumper, long trousers, and even a winter coat. A reggae band started playing at around 6 pm, and by 7, warmed up by beer and some Japanese vodka I was jumping to the beat of the drums. I didn’t take any photos during the night. I actually completely forgot that I had a camera. Around 11 pm the concerts were finished and the organisers asked everyone to be quiet. This however didn’t work and the music played whole night, people burned fires and danced to the flutes and guitars. I went to ‘bed’ at around 3 am. This time I didn’t choose a tipi to sleep in. Instead, I made my way to the free dorm, where I thought would be warmer. How wrong was I?! There were no beds, and we slept on thin mats, that were spread on a concrete floor. Luckily, one of my friends had a mattress and that saved me, I think. I must have slept around 3 hours. The overwhelming cold didn’t allow me to have a proper sleep. I woke up early in the morning and I almost run out of the building, leaving my sister with all our luggage to take care of. I was so cold! But, the day got better. I had a coffee and a bagel that helped to clear my hangover. We stayed a little bit longer at the festival, chilling out and waiting for a friend to get better (you know that you had a good time at a music festival, when you are not really able to drive the next morning). Our drive back to Chiang Mai was much better than the drive to Chiang Dao. There were no mosquito, I didn’t have a fly in my ear, and it was bright enough so I could actually see what’s in front of me. I put together a short video for you to enjoy. 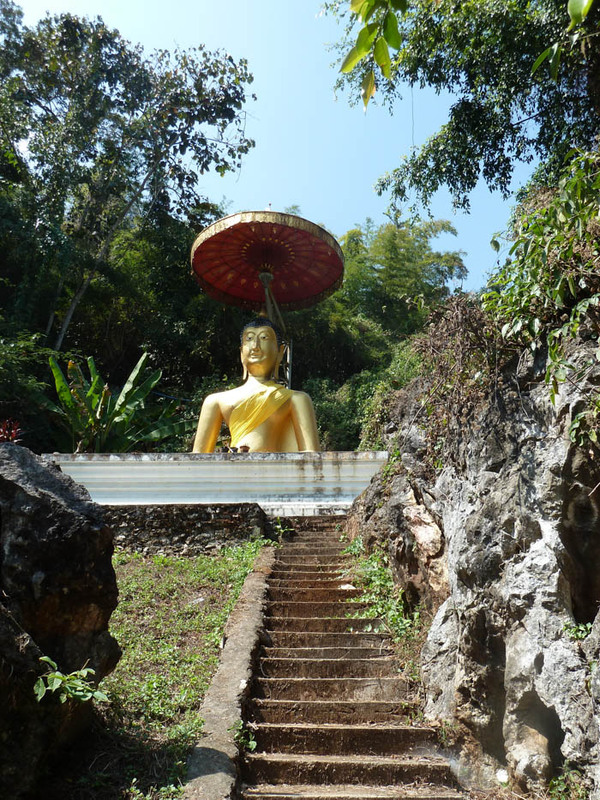 It shows a little bit of the festival and the drive to and around Chiang Dao. I know that my editing skills are not great, but I do hope you will like it at least a little bit. Enjoy!